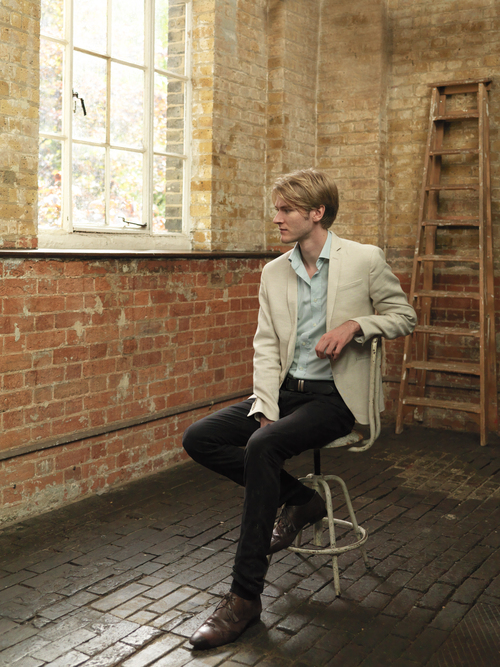 Nathaniel Mander — Concerts, Recitals and Masterclasses. Bath based Harpsichord and Piano performer and teacher. In October 2017, the Yale Center for British Art, Paul Mellon Centre for Studies in British Art (PMC), Historic Royal Palaces (HRP), and Hendrix Handel in London (HHL) co-hosted a scholarly workshop entitled Black Music: its Circulation and Impact in Eighteenth-Century London. The program was produced in association with Enlightened Princesses: Caroline, Augusta, Charlotte, and the Shaping of the Modern World, an exhibition that had been co-organized by the Center and HRP, and which then was on display at Kensington Palace. Moderated by Michael Veal (Professor of African Music, African American Studies, and American Studies at Yale) and attended by scholars from around the world, the workshop opened with a series of concerts and performances held throughout HHL, which set the stage for a rich and productive exchange the following day at the PMC. Thanks to the generosity of Laura and James Duncan, Yale BA 1975, Friends of the Center who underwrote the original workshop, this program will be reconstituted for a New Haven audience. 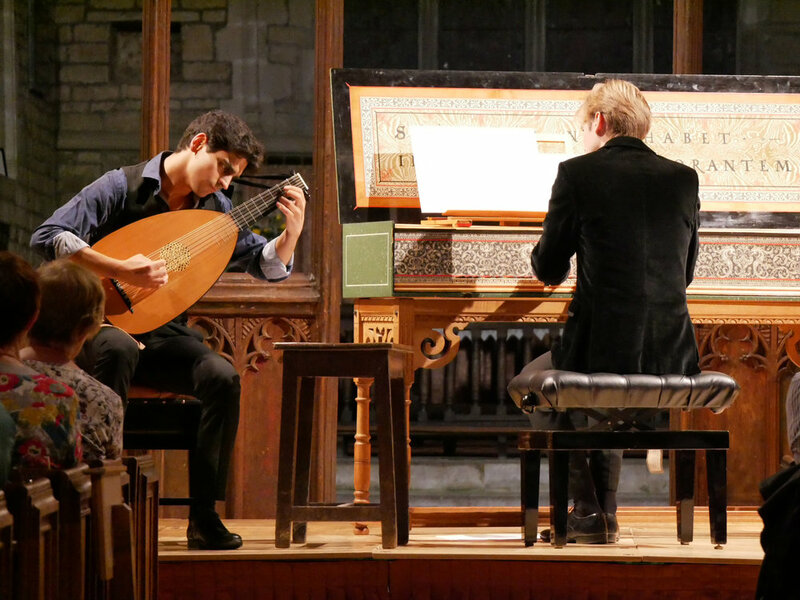 The Theorbo Weekend continues with this Sunday afternoon conversational concert. Both musicians will be talking about the history and mechanics of their instruments with demonstrations, playing solo and together. Nathaniel Mander is a staggeringly talented harpsichord player, described by his teacher as fearless. Anyone who heard his 2017 Raynham Recital performance of Royer's La Marche des Scythes will attest to that brilliance. He is much in demand as accompanist and soloist and performs regularly at Handel House. Nathaniel Mander will present a virtuosic recital of mostly Spanish inspired music by Scarlatti and Soler and also the flamboyant harpsichord music of Royer. For tickets, please enquire. Limited availability. Nathaniel Mander will bring to life the magnificent collection of 17th, 18th and 19th century keyboard instruments housed in the beauty country house at Hatchlands Park. As part of the Heritage Open Day at Hatchlands Park, Nathaniel Mander will be in residence for the afternoon to bring the beautiful keyboard collection to life. Nathaniel will present a programme of solo piano music on the beautiful Longman and Broderip Square piano housed at Restoration House. This instrument, with its hand painted outer case decoration, is as attractive to look at as it is to listen to. Nathaniel Mander (harpsichord) and Sam Brown (renaissance lute) explore the common ground between Handel and his predecessors, via that lynchpin of musical form – the Ground. Eleanor Harrison and Nathaniel Mander will present a dramatic and virtuosic programme of 17th and 18th music for violin and harpsichord. Exploring all the national styles, they will take us from the birth of the violin sonata in Corelli's masterful hands to Bach's vision of two instruments in perfect harmony. Nathaniel will perform Bach’s dazzling 5th Brandenburg Concerto with the London Musical Arts Ensemble. Nathaniel Mander and Heather Tomala present a programme for the unusual combination of two players at one instrument. Their programme, centred around Handel's life, will include some of his most popular works. Nathaniel Mander returns to Hatchlands Park to perform an all Mozart recital including some of his best loved piano works. Richard Robbins (tenor) and Nathaniel Mander (harpsichord) perform arias of Monteverdi and Rameau in a recital that explores the fraught relationship between politics and music of the Italian and French Baroque. Nathaniel Mander and Sam Brown will perform an exciting Tudor programme for lute and virginals with a mix of improvised grounds, their own duo arrangments, and solos from the golden age of English music. Music by Dowland, Byrd, Blow and Farnaby. Nathaniel Mander and Sam Brown present a programme of music for harpsichord, lute and guitar featuring their own arrangments of glorious 16th ,17th and 18th century music. Nathaniel will also perform Bach's ever popular Italian Concerto. Nathaniel Mander will perform Bach's ever popular 5th Brandenburg Concerto as part of the Shipley Arts Festival with the Bernardi Music Group. Winner of the 10th Broadwood Harpsichord and the 2010 Fenton House Early Keyboard Ensemble Competitions, harpsichordist Nathaniel Mander has since become one of the UK's foremost young keyboard performers and is joined by Sam Brown, a member of Dowland Works, and is much in demand as a recitalist, soloist and accompanist on lute and guitar. Contemporary arrangements were common place in the 17th and 18th centuries and their fascinating programme explores some well-known composers including J.S. & J.C. Bach, Mozart, Rameau and Fernando Sor, including solos items for each instrument. Come and delight in the unusual sounds of two plucked instruments! Nathaniel Mander will present a harpsichord recital as part of the Amersham festival of Music in the beautiful Tudor manor house in Chenies. Fizz and canapés on arrival. Harpsichord recital starts at 7.45. Dinner at 8.30pm followed by the second half of the recital. Programme to feature popular harpsichord classics including Bach's glorious Italian concerto and Handel's joyous Harmonious Blacksmith variations. Join Nathaniel Mander and Sam Brown for an informal, intimate evening of music and discussion. Nathaniel and Sam will conjure up the 19th century salon with musical gems, performed on that quintessential salon instrument, the guitar, in duo with the museum's rare and beautiful Schantz piano. They will introduce and illustrate their respective instruments, and Sam will also talk about the guitar's mystical relative, the lute. "Just about every expectation was shifted... master musicians..."
"We were treated to a recital by Sam Brown and Nathaniel Mander. This personally and musically very charming duo performed works by Sweelinck, Tomkins, Dowland, Purcell, Byrd, Farnaby and John Danyel. What a treat!" Christopher Goodwin, review for "Lute News"
A Celebration of Handel's Life for his 333rd Birthday. Innovative harpsichord four-hands duo Heather Tomala and Nathaniel Mander will be joined by soprano Charlotte La Thrope for a celebratory concert on the eve of the great composer's birthday. The rare combination of two players at one harpsichord brings a new world of colour and texture to several much-loved Handel classics, including arias from Solomon and Messiah and excerpts from the Water Music. Nathaniel Mander returns to Restoration House to perform a harpsichord recital of music from the Golden English age on the beautiful Zenti harpsichord housed within the Elizabethan Manor. Programme to include music by Byrd, Bull, Tomkins as well as Frescobaldi and Sweelinck. Undoubtedly John Rich’s most famous production while director of the Lincoln’s Inn Fields Theatre was The Beggar’s Opera. This one-off event will celebrate this infamous piece of theatrical history. A recital of music from across the countertenor repertoire - Purcell, Bach, Handel, Britten, Howells, McDowall and more. The first in a new termly event series on the relationship between music and visual art, featuring pieces from the Academy Museum’s collections. When the Mozart family visited London in 1765, adverts described Wolfgang and his sister Nannerl as ‘prodigies of Nature’. This event will consider artistic responses to the idea of musical genius by exploring images of British infant pianists, including portraits hanging in the Duke’s Hall. Covering a span from 1770 to 1840, themes will include the relationship between the family and the artist, the use of imagery in concert promotion and the quest for royal patronage. The event will also provide a rare opportunity to hear works composed by or associated with these young children. Nathaniel Mander and Sam Brown , Les Marionettes, will present a short lunchtime recital in the beautiful Tythe barn at Syde Manor. Music to include all their own arrangments of works by Bach, Mozart and Rameau. Harpsichordist Nathaniel Mander will present a short performance of the musical gems which caused a stir during Georgian London as part of the Enlightened Princesses international symposium at Hampton Court Palace. Handel’s harpsichord and what does the accompanist actually do? A day considering what instrumental backing brings to your musicianship, how to handle the accompanist in rehearsal and your rapport in performance, all set in Handel’s own house. The day will also include an introductory session in Feldenkrais. 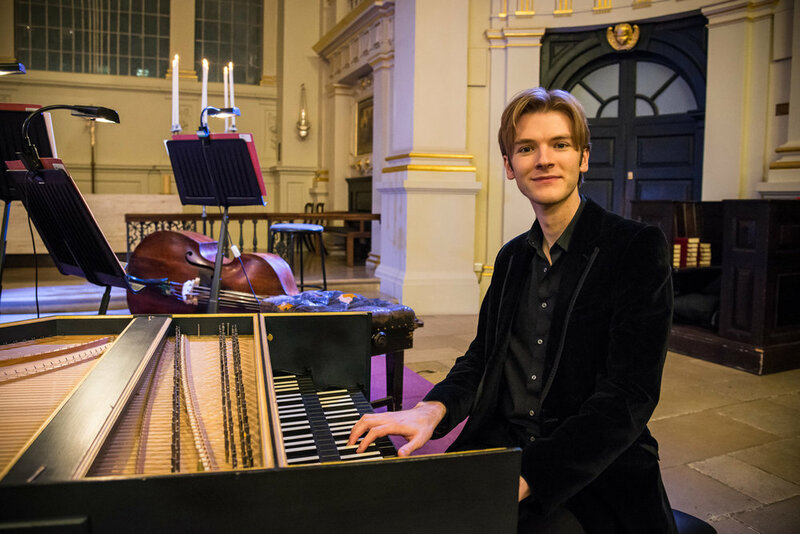 Nathaniel Mander will demonstrate the harpsichord and outline rehearsals in Handel’s time, along with describing his take on the art of accompanying. Emily Owen (soprano) will then perform some Handel with Nat, explaining what she expects from the accompaniment.